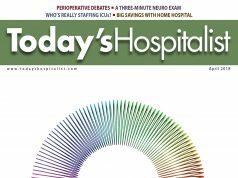 SINCE 2010, the adult inpatient medicine service of the Presbyterian Medical Group (PMG) at Presbyterian Hospital in Albuquerque, N.M., has very successfully operated a unit-based care model with daily interdisciplinary rounds. The model is built on the process of geographically isolating hospitalists and building a multidisciplinary infrastructure to standardize communication. Each team consists of a hospitalist and a care coordinator. Every morning, that team meets at the whiteboard of the unit to which it is assigned and discusses each patient with the nurses, physical therapist, pharmacists and other ancillary services. What began with our first iteration of unit-based care, which consisted of 52 beds covered by four hospitalist teams, has now expanded to four units. In getting this model off the ground, we seem to have succeeded where other programs fall flat. Unit-based care is receiving a lot of attention because it fundamentally transforms how medicine in the hospital is being practiced. I believe this is the model of the future. I have fielded many phone calls and site visits from programs trying to duplicate our success. Many make mistakes in planning for and implementing unit-based care. Here’s how we approached unit-based care and some of the thinking behind the decisions we made. Our version of unit-based care started as a “process excellence project” run by our Lean Six Sigma Group. We did not go into the process with any preconceived solution that we were trying to arrive at. Instead, we started with an open mind and tried to get a handle on the problems that we needed to solve. The core group included representatives from nursing, care coordination, hospital medicine (myself ) and our director of practice management, led by a Six Sigma black belt. Like most hospitalist groups, PMG’s inpatient service had grown to meet increasing volume and demand. By 2009, the program was the sole admitting hospitalist group at Presbyterian Hospital, a tertiary 453 licensed bed, inner-city hospital. And like many groups, we found ourselves in trouble. Each rounding hospitalist had nearly 20 patient encounters per day “a huge dissatisfier for the physicians. 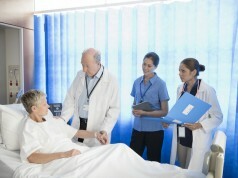 And the hospitalists’ average length of stay (aLOS) was more than five days. The throughput problems associated with that high aLOS contributed to a “left-without-being-seen” rate in the ED that was consistently over 10%. The ED was also frequently on divert, and the hospital was forced to open a temporary nine-bed medicine holding floor to clear out the ED every morning. Using the Lean Six Sigma methodology, we systemically reviewed all work processes that touched on throughput for the hospitalists. Because Lean Six Sigma discourages the temptation to rapidly come to a solution, the process took several months. In talking to groups that are trying to move to unit-based care, I find that many don’t give themselves enough time to really dissect all the processes throughout the hospital that affect hospitalist workflow and workload. 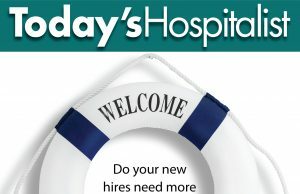 We learned that many inefficiencies were not unique to hospitalists, but touched on multiple disciplines including nursing, care coordination, physical therapy, housekeeping and pharmacy. We also found many wasteful activities and too many variations. For one, hospitalists spent about an hour a day traveling among floors to see patients. Hospitalists also had to waste time trying to find out which care coordinator and physical therapist were assigned to a specific patient on a specific floor. It took multiple pages, phone calls and interruptions for the hospitalist to communicate with both the care coordinator and physical therapist regarding disposition for a potential discharge. We also uncovered wide variations in how hospitalists communicated. Some hospitalists communicated with nurses on a regular basis regarding treatment plans and discharges, but many did not. The result again was delayed discharges, with doctors and staff wasting time trying to track each other down. As we identified problems, we thought of some small solutions to address the many issues at hand. But toward the end of the process, we began to realize that a unit-based model with integrated, multidisciplinary rounding would encompass a host of those smaller solutions and solve our systemic communication problems. At the time, there was very little published about unit-based care, and we knew implementation would be ambitious. But the planning team looked toward W. Edwards Deming, the godfather of Six Sigma, for inspiration. Mr. Deming believed that slogans, exhortations and targets only created resentment among the workers. He maintained that most failed quality projects were due to poor planning on the part of management, not because of any failing on the part of workers, and that poor work processes were inherent in the system and beyond the workers’ control. When was the last time your hospital administration admonished your hospitalists to discharge earlier, be more productive, or communicate better with nurses and care coordinators? If yours is like most groups, that probably sounds familiar. But quality is not a tool that can be randomly applied; it must be embedded in a systematic process. When faced with a new system or work process, most reflexively ask, “What’s in it for me?” If your only answer is that whatever you’re trying to improve is “good” for the hospital, the process is doomed for failure. We had to make the case that the problems we faced would be solved by geographically isolating each hospitalist, assigning each a care coordinator and asking them and staff members to participate in whiteboard multidisciplinary rounds. But to get that buy-in, we never asked the hospitalists or other staff members to lower aLOS or improve throughput or communication. Instead, we highlighted how hospitalists, nurses and ancillary staff would personally benefit by participating. Each of them quickly realized that such changes would allow them to manage time more efficiently and communicate more effectively. The entire concept is based on an overall process and can be systemically replicated. It is not dependent on the heroic leadership or effort of a few passionate believers. But that doesn’t mean that implementation was easy. In my next column, I’ll talk about two tough hurdles: changing workflow for not only the hospitalists, but nurses and care coordinators, and how to set up unit-based care to remove perverse incentives not to discharge. David J. Yu, MD, MBA, is the medical director of adult inpatient medicine services with Presbyterian Medical Group at Presbyterian Hospital in Albuquerque, N.M. Send him questions about starting or maintaining unit-based interdisciplinary rounds at his email.